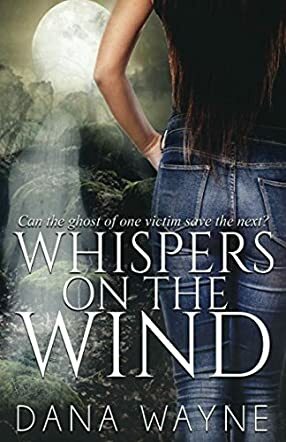 Whispers on the Wind by Dana Wayne is a romantic suspense novel that takes place in a small town, where not much happens…until bodies start turning up. Sheriff Cooper Delaney lives a relatively low-key life, despite his landlady trying to hook him up with every single girl that passes through her boarding house. It isn’t until Doctor Samantha Fowler shows up that the sparks begin to fly. However, Sam has a habit of uncovering bodies, but it’s not what it seems. Both are driven by this unheard force, telling them to find him before it’s too late. Will Delaney and Fowler uncover the mystery or will one of them fall victim to a deadly killer? The smooth pace and lovable characters drew me almost instantly into this novel. I really enjoyed the added element of the supernatural. It wasn’t in your face, and was done in a very subtle and believable way, almost like Cooper and Sam were running on the instinct of things they already knew. The supporting characters, like Miss Eva and Jason, just added to the completeness of the story. I was left guessing until the end as to who the murderer was. I had some suspicions, but I was surprised when the revelation came at the end of the novel. An added treat was the recipes (I’m an avid baker), so I look forward to trying them out! Whispers on the Wind by Dana Wayne was truly a joy to read and I will certainly look for more books by this author in the future! This book was so good I couldn't put it down! Read it in 2 days! This author draws you in to where you can visualize the characters and surroundings and keeps you on the edge of your seat. A must read for anyone that enjoys a good mystery romance!